Blackburn vs Bristol City predictions ahead of this Championship clash on Saturday. Rovers’ are out to test the visitors’ fine unbeaten run. Read on for our match preview and free betting tips. 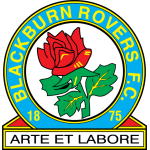 Blackburn had their great form ended in spectacular fashion last weekend, as they lost 5-2 at Brentford. Will they suffer another setback in this clash, or can they trouble the latest side to move into the top six? The playoff spots have been a bit of a closed shop since early this season, but Bristol City have arrived to gatecrash the party. Their fantastic form has lifted them into contention for a playoff spot, but will they be able to keep up that form in this meeting at Ewood Park? 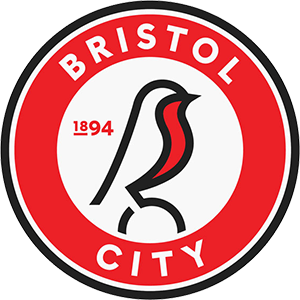 The hosts are still in the playoff race themselves, as they trail Bristol City by just four points. They moved up from League One after finishing second last term, and they’ve adapted to this level with ease. However, they’re going to need a response to their Brentford defeat in order to get their playoff push up and running again. Will they be able to secure three points in Saturday’s clash with the league’s form team? The visitors have won their last seven matches in all competitions – their longest winning run since a run of 11 between December 2003 and February 2004. A 2-0 win over Swansea pushed them into sixth, and next weekend they turn their focus to a FA Cup last 16 clash with Wolves. It’s a great time for the Robins, who mixed a Carabao Cup run with a top-six chase in the first half of last season. Showing this form after Christmas is a hint that they’ve grown, and it could take them into the Premier League. The hosts come into this clash after landing a 4-1 thrashing of Blackburn in the reverse fixture, their second win in the last three meetings between these two sides. The visitors will be looking to keep that rolling, as they search for a sixth straight league victory. They come here with a remarkable defensive record, keeping a clean sheet in five of their last seven. They should keep it tight in this one, as they look to edge out the hosts. Bristol City have been impressive in all of their recent matches, but overall this season they’ve tended to perform better away. The majority of their points have come from away games, which should see them push Blackburn in this clash. With a great recent record against Rovers, and given their winning streak, we’re siding with the visitors here. We’re backing the Robins on the Draw No Bet market, as they chase yet another victory. Danny Graham and Bradley Dack both found the net in Blackburn’s last game against Brentford – they have scored exactly half of Rovers’ 42 Championship goals this season (Dack 11, Graham 10). Andreas Weimann ended a run of 31 Championship shots without scoring with his goal against Swansea in Bristol City’s last game – he had found the net with five of his first 16 shots this season.